I have always loved potatoes. I will eat them baked, fried, mashed, roasted…you name it I’ll eat it. When I found this recipe for the perfect baked potato on Pinterest I was intrigued, and immediately pinned it to my side dishes board. This recipe was so easy, I couldn’t believe it. 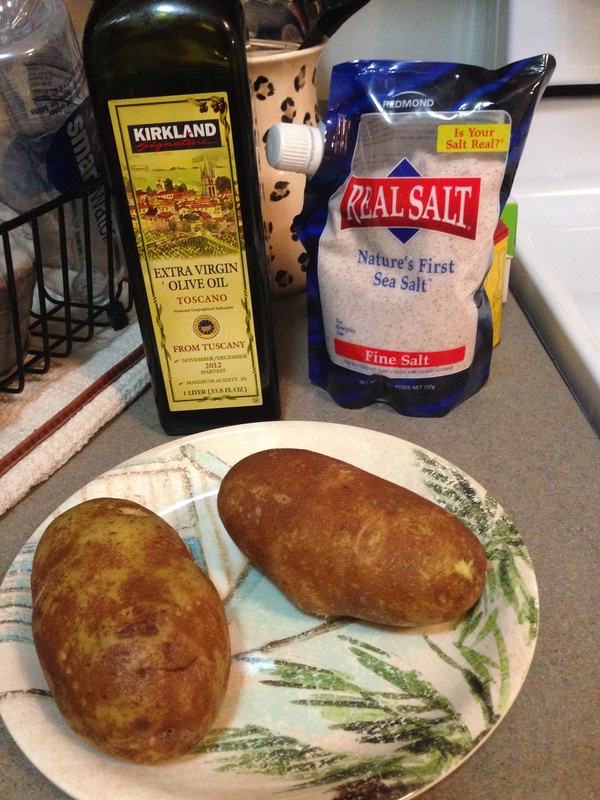 Russet Potato (I used 2), Extra Virgin Olive Oil, and Sea Salt. I first started out by preheating my oven to 400 degrees. The I began scrubbing the potatoes in the sink to make sure they were perfectly clean. 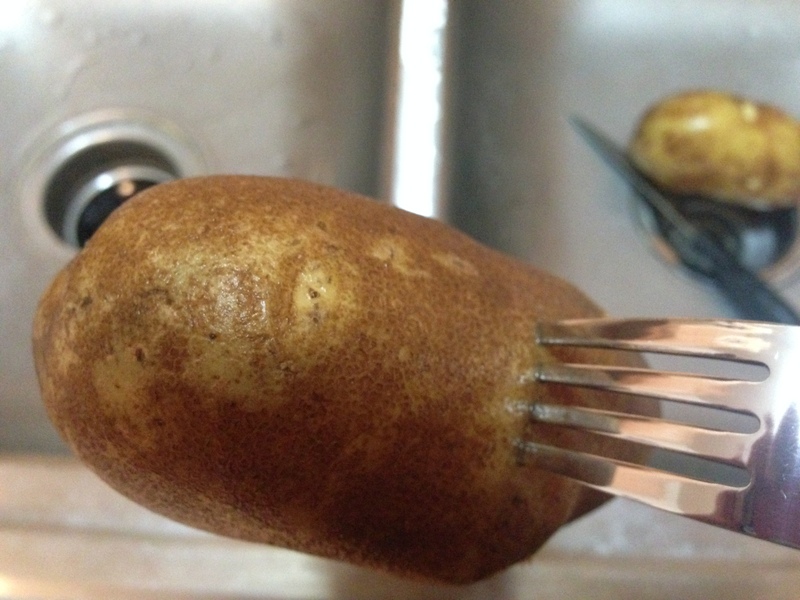 Then with a fork I poked holes several times all around the potatoes. 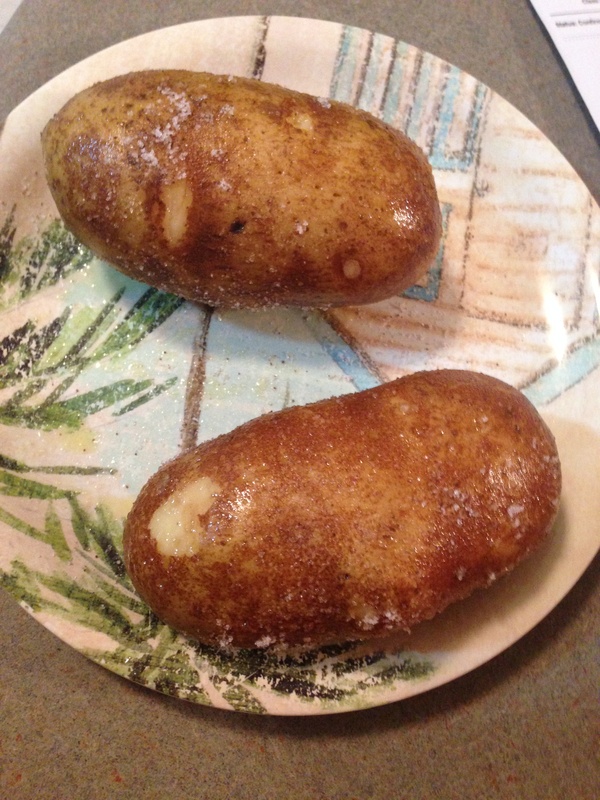 Once I finished poking holes in the potatoes, I drizzled olive oil all over the potatoes. According to the blog this recipe came from, it’ll make the potato skin even better. After drizzling the olive oil, I rubbed it all over the potatoes to make sure they were completely covered. Then after this I lightly sprinkled sea salt over each side. Now it comes time to bake them. You set your potatoes right on the rack, and I put a pan underneath to catch any excess olive oil. You bake them for an hour, and after 30 minutes you flip them over. These. Were. Amazing. We could not stop raving about how perfectly fluffy and crisp these potatoes were. 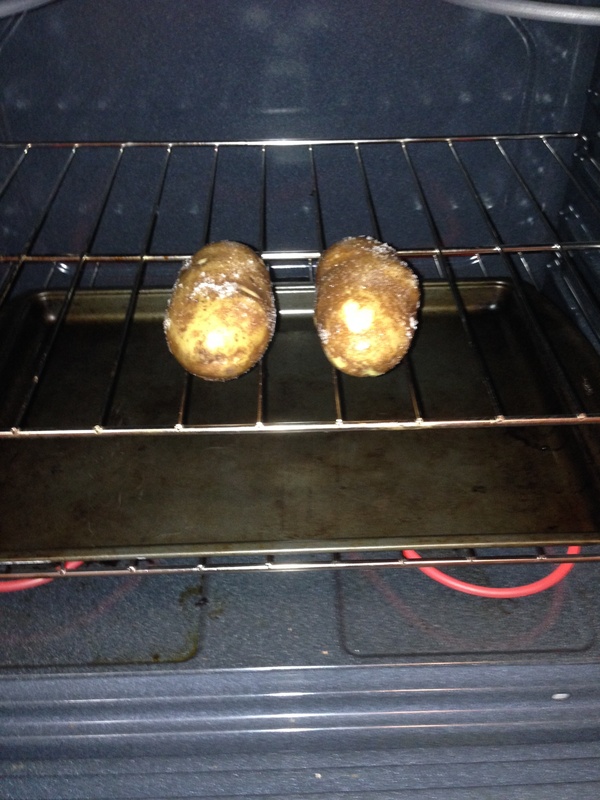 I am no longer going to cook baked potatoes in the microwave, because these taste way better. I made mine up with butter, sour cream, and shredded cheese, it was perfect. I would not change a thing, and I will be making these again. « Superbowl Spinach and Artichoke Dip!